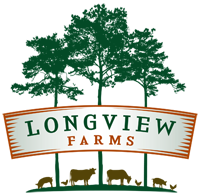 Longview Land Clearing(LLC) specializes in forestry mulching, stumping, small acreage clearing, lot preparation, and fence row clearing. Our Caterpillar 297 is built for mulching up undergrowth of all kinds including small oaks, pines, shrubs, and down branches and trees. Mulching is both environmentally friendly and economical. Instead of digging out, piling, and burning; our mulching head leaves nothing but fine mulch behind without disturbing the soil. See before and after pictures below.